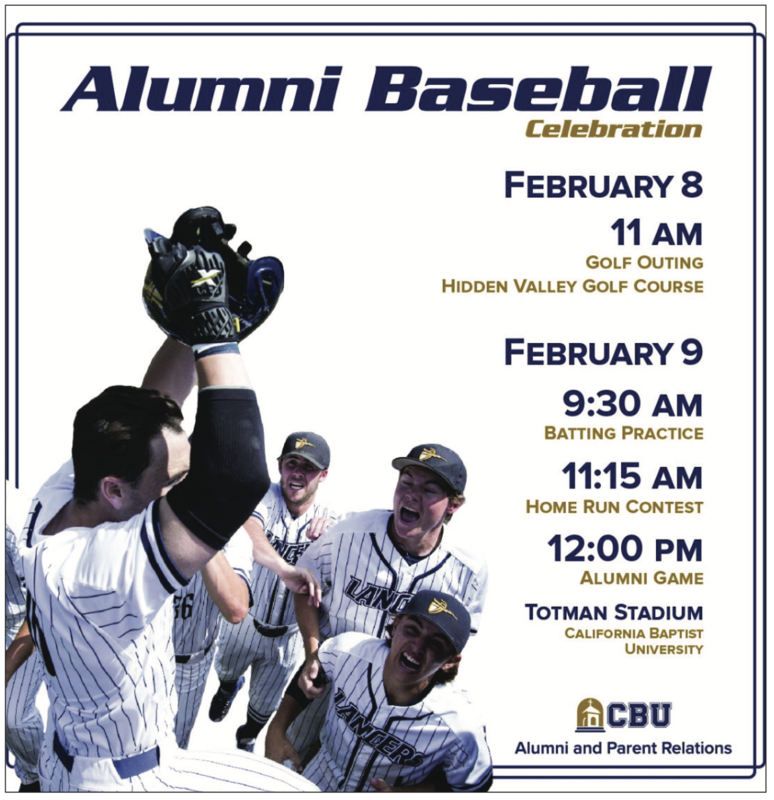 Before the baseball season begins, the Lancers will be hosting their annual alumni baseball game Feb. 9, while also hosting their first-ever golf outing Feb. 8. The first golf outing will be open to the public, with tick- ets still on sale until Feb. 4. It will be held at Hidden Valley Golf Course in Norco. Head baseball Coach Gary Adcock said he first started the alumni game as a way for current and former players, as well as supporters, to connect with one another. Adcock said he expects at least 50 former Lancers to attend the alumni game. The day’s events will include batting practice held at 9:30 a.m., and a home run contest at 11:15 a.m. Then at noon the alumni game will begin. The alumni game will allow current Lancer players the opportunity to play and work on their game before their season begins. Nick Plaia, junior kinesiology major and center fielder, said he looks forward to the game and getting to play against former players. Ryan Mota, senior sociology major and utility player, talked about his excitement for the up- coming game. “Seeing all of the past players is always fun,” Mota said. “Getting to compete against them and getting to see them have fun and seeing that they still got it (and what excites me the most) is the possibility to face Tyson Miller.” Miller was drafted after his time at CBU. The 2019 season will mark the Lancers first season in DI after playing in DII for many years and finishing with a 35- 19 record. Adcock said he looks forward to competing at a new level and believes his team is ready. Plaia added his expectations for the new season. Lancer baseball will open its home season Feb. 15 playing against Northern Illinois University.